The last time this little dude hit the hardwood, he was wearing Celtics colors. Isaiah Thomas did alright in them, too. Stringing together a team-record 43 straight games scoring 20 points or more. Safe to say Thomas was extremely proud of being a Celtic and had truly bonded with the fans. If ever there was verification of that fact, it happened on his first trip back with another team. Click over to The Daily Player for the rest of the story. 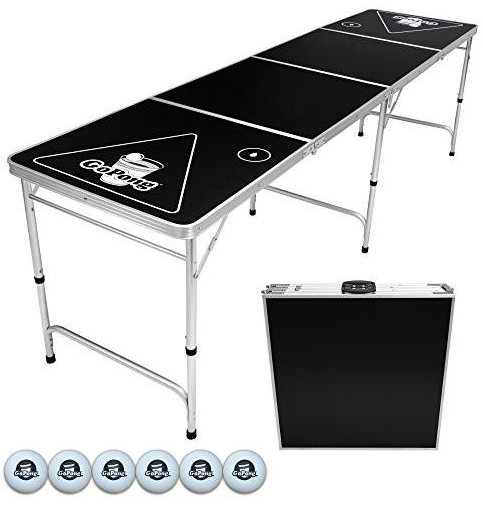 Yes, indeed, this is a tournament-sized table that can be broken down for convenient carrying to and from wherever you're gonna be in the middle of fun. It's a veritable package of social happiness wrapped up in a bargain bundle for $99.99. Shipping is free, and we take Bitcoin. See you at checkout.